Build a robot that responds to electrical activity in your brain--it's easy and fun. 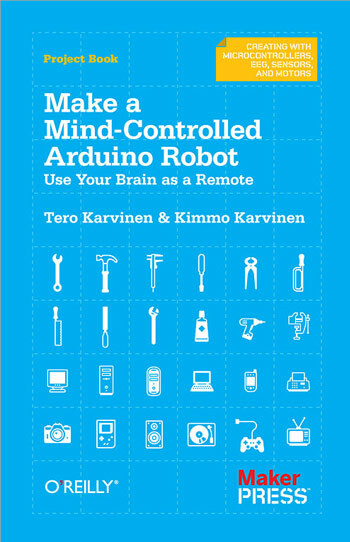 If you're familiar with Arduino and have basic mechanical building skills, this book will show you how to construct a robot that plays sounds, blinks lights, and reacts to signals from an affordable electroencephalography (EEG) headband. Concentrate and the robot will move. Focus more and it will go faster. 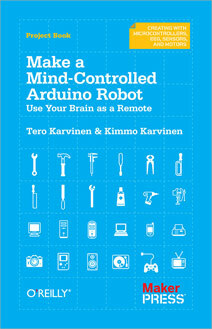 Let your mind wander and the robot will slow down. The level of attention controls the speed of the robot. Steering (left and right) is controlled with automatic line avoidance. 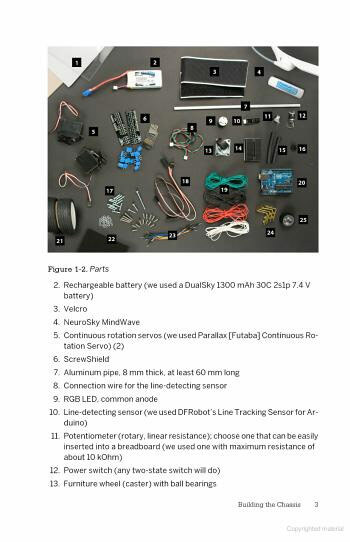 You'll find complete instructions for building a simple robot chassis with servos, wheels, sensors, LEDs, and a speaker. 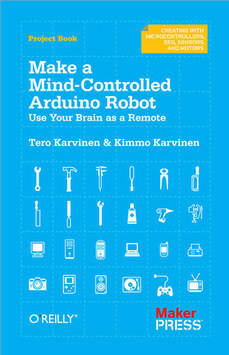 You also get the code to program the Arduino microcontroller to receive wireless signals from the EEG. 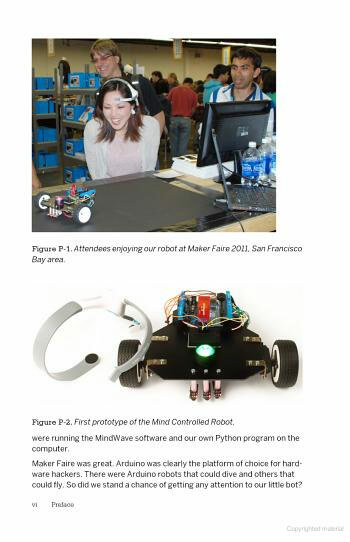 Your robot will astound anyone who wears the EEG headband.